The Tower of Babel - Legend or History? reveals our shared ancestry as never before! Have you ever wondered if the Tower of Babel Story was about a real thing? Certainly, many scientists and historians try not to confirmed its existence but according to many, people were simply too dumb to have created such a thing 6 or 7 thousand years ago. This book takes the reader back to the Tower of Babel and discusses themes and ideas present that resonate throughout Genesis, the Bible, and into modern history. The reader will more fully understand why the Tower of Babel narrative appears where it does in biblical history. Furthermore, the reader will learn why this event in human history remains one of the single most important events in the interaction of humanity and the divine. 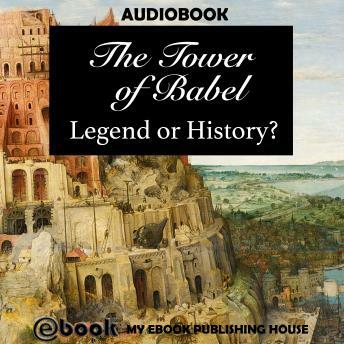 Tower of Babel: Legend or History?